Open the control panel by either selecting it from the Windows 'Start' menu or by typing 'control panel' into the search box then clicking the program name. At this point, Windows might ask for your permission to continue or request that you enter an Administrator password. Your computer will now use Comodo DNS as it's default domain name resolution service for all applications that connect to the Internet. 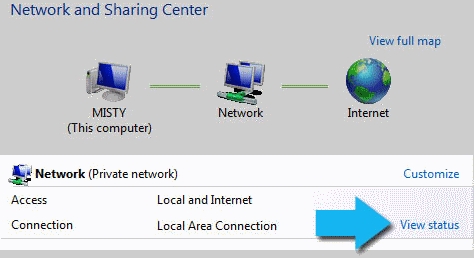 Enable 'Obtain DNS server address automatically' then click 'OK'. 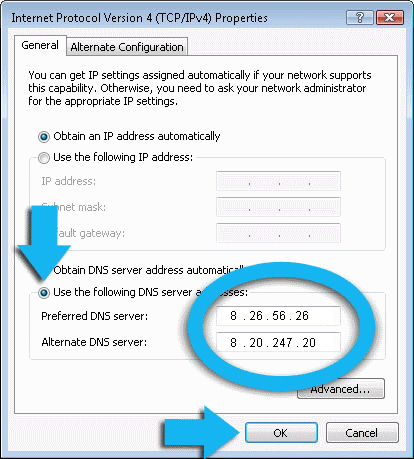 Note: Alternatively, you can enter the server addresses of a different DNS service before clicking 'OK'.